I sat down for an (as ever) up-beat, in-depth chat with Sam Walker-Smart from Clash Magazine. 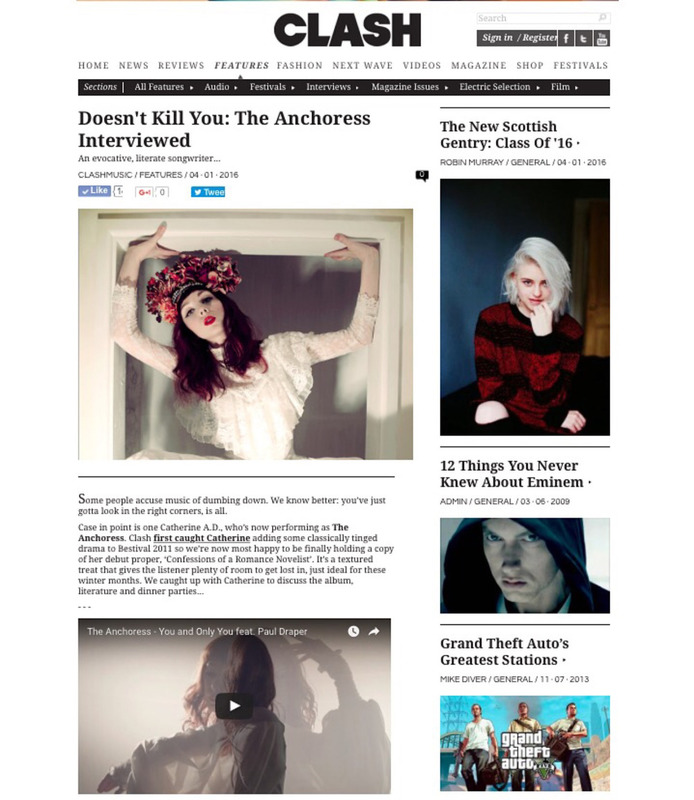 The Anchoress is Artist of the Week on BBC Radio Wales. Listen back to Catherine’s interview with Eleri Sion.